Venetian lazer cut mask is made of metal. Comes with black ribbon ties. Mask color is chrome. 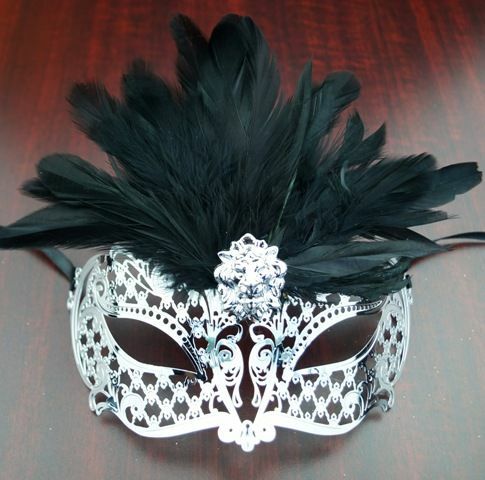 Mask feather color is black.